Opening up your own restaurant can seem like a dream, until you sit down to crunch the numbers. That’s when the reality of the financial burden of launching a new restaurant settles in, and your dreams quickly dissolve in a puff of bank notes and rejection letters. But, it doesn't have to end like that. Today, more than ever, there are options for ambitious business owners-to-be that are making startups not only a reality but a common occurrence and a frequent success. Lending services offer considerable small business loans with reasonable rates and fair conditions to help small businesses like yours get off the ground. Knowing the basics will help guide you towards success. If you envision opening your own restaurant, then check out everything you need from the financial aspect to achieve your goal. To begin with, potential business owners need to understand the value of a loan. Starting a business has so many expenses, it can seem like all you’re doing is signing checks during those fledgling months. New restaurant owners need to pay for a tremendous array of expenses, some expected, and others that take them completely by surprise. With little capital coming in and expenses mounting, it’s easy to sink before you’ve even started to swim. That’s where a small business loan comes in handy. Providing startup capital, SMB loans afford you the luxury of covering all your costs and giving you the leeway to pay it off once revenue starts to build. It’s the foot up any new business needs to get started in the industry. Adequate financing to get started in the business. Immediate access to the funds, many companies such as Kabbage will even approve on the same day. Loans can be paid off over time. Some lenders offer strong benefits to their members. SoFi , for example, provides an extensive social network for its clients, creating job opportunities and delivering helpful financial education to new businesses. Various types of business loans to cater to your specific needs such as equipment leasing, ACH cash flow loans, and commercial real estate loans from Lendio . The interest you are going to have to pay out over time. This one can be minimized by finding the right lender that will offer you competitive interest rates and reasonable repayment terms. If your credit is not good enough, it may be difficult to procure a loan. Many business loans require collateral, something that most new restaurant owners don’t have available. Q: How long will I have to pay off my loan? A: That will depend on the lender you choose and the loan terms you are approved form. Some lenders will offer only limited options (up to 12 months), while others will afford you longer repayment terms, even up to 25 years. Q: How much should I ask for? A: Taking out the right amount for your loan is crucial to your restaurant’s success. See our section below on calculating the proper loan amount to request. Q: Will my business loan cover all my expenses like new equipment and food supplies? A: Most business loans are limitation-free, meaning you can spend the money on whatever you want. Some lenders will ask you for a business plan that specifies what you are using the money for, while others give you carte blanche. Lenders also offer borrowers different types of loans to help cover specific types of expenses more conveniently. Q: What if I have unexpected expenses that come up after my initial loan? A: Because unexpected expenses inevitably arise, experts recommend taking this into consideration when you apply for your initial loan. Even if you need more to cover a dry spell, broken equipment, or an unexpected surge in business, many lenders will allow you to take out a further business loan (of a different type) as long as you are responsibly making your current monthly payments. Q: What are the fine print details lenders don’t tell you about? A: While you can rely on reputable lenders to be upfront about their terms and policies, some of the more obscure details that you might miss include unexpected fees and penalties. For example, some lenders will hit you with a prepayment penalty if you pay off your loan early. Look for lenders that waive this penalty. In general, read the terms and conditions carefully before signing off on any business loan. Calculating the Costs: How Much Do You Really Need? From there, you’ll need to calculate your projected monthly income. Go into detail, and leave nothing out. Lenders want to see a thorough business plan, and it will help give you a clearer idea of exactly how much you need. There are several options for loans today. Borrowers can try their local banks, go to private investors, or opt for peer-to-peer lenders. 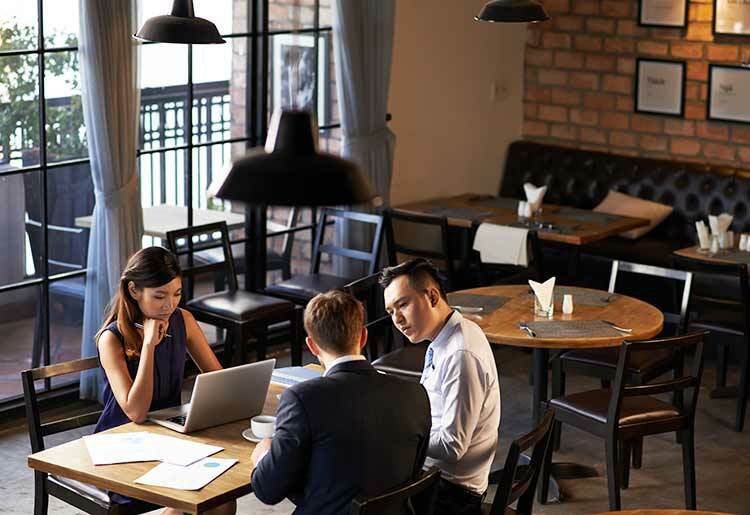 In general, private investors and venture capital should be your last resort because these can come with high costs such as forfeiting some control over your restaurant to the investor. Banks generally have high eligibility terms, making it difficult to get approved for a loan. 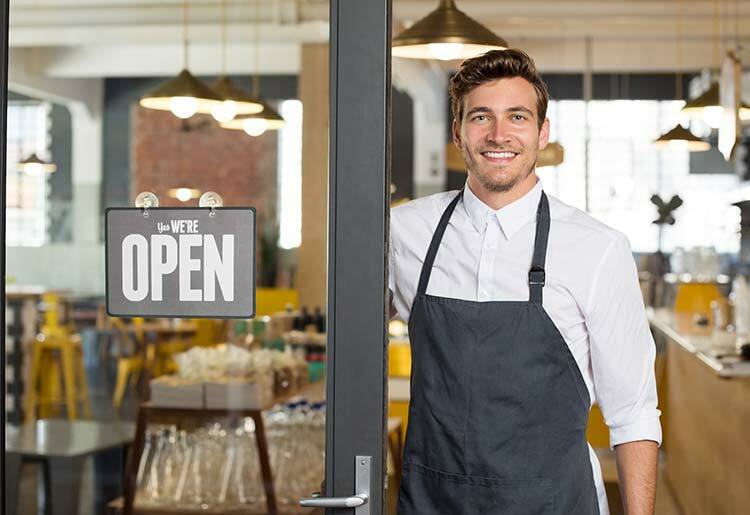 The best choice for a small business (i.e., your new restaurant idea) is to get a small business loan through an online lender. As mentioned, there is a lot of competition in this market, so rates are very competitive. New restaurant owners can, therefore, get the best terms with minimal effort via these channels. Another common mistake restaurateurs make is going to a traditional bank for their loans. These establishments will generally charge you an exorbitant amount of interest, which means that making a profit becomes a challenge, even once the revenue starts to stream in. Conversely, peer-to-peer or other private lenders have a lot of competition to drive down the rates. So, business owners can get more reasonable terms and interest rates that they can manage even while starting a new business. This might be the best part of opting for a small business loan from such lenders. The simple online application process makes it a breeze to apply, and you can even get approved for a loan within minutes using some services . What’s more, when using an online lending portal like Lendio or LendingTree , you also save yourself time and aggravation with the application process. You fill out the application form one time, and then they send it out to hundreds of potential lenders automatically. The online application form will vary from one lender to the next, but the overall format is generally the same. First, you'll answer some basic information questions such as your name, the loan amount you wish to request, and a phone number to be contacted with. You may also be asked to provide personal banking information, bank statements, profit and loss statements, and ownership documentation. From there, the lender(s) will review your application and make offers based on your eligibility. Once you’ve approved an offer, you can receive your funds, sometimes as early as the same day. Lendio is a business loan aggregator which presents ten separate business loan programs. Once you complete its quick and simple application form, Lendio runs a soft credit pull before sharing your details with its platform of over 3,000 lenders. It's easy for newer businesses to get a loan through Lendio since it only asks for a minimum of six months in business and doesn't insist on perfect credit ratings. It has a high rating from the BBB, excellent customer support, and can get you your money in as little as two days. With flexible eligibility requirements, no fees, a high maximum loan amount, and longer repayment periods of up to 25 years, Lendio is ideal for new restaurants that need to borrow money for any purpose. Kabbage is an automated lending platform that makes lines of credit available directly to small businesses. Approval is fast, sometimes even within minutes, and does not depend on your credit rating although it does require a personal guarantee. The money can be in your PayPal account after a few hours and in your bank account within a few days. Once you’ve been approved for up to $150,000 of credit, you can withdraw a loan amount at any time from your phone without having to explain your reason. Kabbage charges only one monthly fee per loan and doesn’t have any penalties for early repayment. Kabbage is best for restaurants that need flexible access to extra capital to cover a temporary shortfall or to pay for sudden extra raw materials. Fundbox is a direct lending platform for small businesses. It offers $1,000-$100,000 line of credit borrowing to restaurants and other enterprises for short periods of 12 or 24 weeks. There are no early payment penalties. The application is easy, since you simply connect your business bank account or accounting software to Fundbox’s platform and wait for approval to come through within minutes. Once you have an account with Fundbox, you can request a loan up to your total approved credit, and the funds could be in your bank account the next working day. Fundbox approves your loan request based on your business health, not your credit rating, so it’s ideal for new restaurants or those with poor credit scores that need cash fast. A small business loan can be the big break you need to get your new restaurant up and running. Check out these reliable lenders, and see which one is the right fit for you.